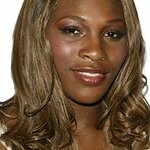 The Allstate Foundation, today debuted a public service announcement featuring tennis champion, philanthropist and Allstate Foundation Purple Purse program ambassador Serena Williams. Titled “Invisible Weapon,” the new video aims to bring awareness to financial abuse, a controlling tactic frequently used by domestic violence abusers and one of the primary reasons victims stay in or return to abusive relationships. The urgent call for support for domestic violence survivors coincides with the start of the Allstate Foundation Purple Purse® Challenge, which takes place Oct. 2 – 31.